Life reconstruction of Australopithecus sediba commissioned by the University of Michigan Museum of Natural History © Sculpture Elisabeth Daynes / Photo S. Entressangle. 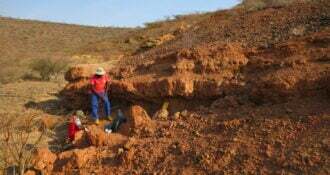 The fossil site of Malapa in the Cradle of Humankind, South Africa, discovered by Lee Berger of the University of the Witwatersrand, Johannesburg, in August 2008, has been one of the most productive sites of the 21st century for fossils of early human ancestors or hominins. A new hominin species, Australopithecus sediba (Au. sediba), was named by Berger and his colleagues, following the discovery of two partial skeletons just under two million years old, a juvenile male individual– Malapa Hominin 1 (MH1)– and an adult female, Malapa Hominin 2 (MH2). The skeletons are under the custodianship of the University of the Witwatersrand, where they are being kept. Each partial skeleton is more complete than the famous “Lucy,” an Australopithecus afarensis or early hominin species found in 1974 in Ethiopia. Now, 10 years later after the discovery of Malapa, full descriptions of the hominin fossil material, as well as raw measurement data and surface scans of the fossils, available at Morphosource.org, are published in a special issue of the open access journal, PaleoAnthropology. 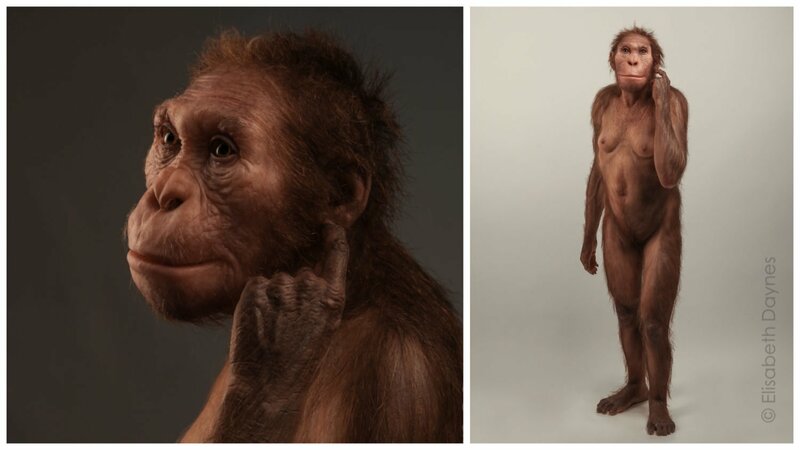 “The anatomies we are seeing in Australopithecus sediba are forcing us to reassess the pathway by which we became human,” explained co-editor and Leakey Foundation grantee Jeremy DeSilva, an associate professor of anthropology at Dartmouth, and co-author of four of the papers, including ones on the lower limb and computer animation of the walking mechanics. The special issue is comprised of nine separate papers analyzing: the skull; vertebral column and thorax; pelvis; upper limb: shoulder, arm and forearm; hand; and lower limb fossils of Au. sediba; along with descriptions of body size and proportions; and walking mechanics, including a 3D computer animation of Au. sediba walking. The papers are co-authored by leading anthropologists, many of whom are Leakey Foundation grantees. The research draws on approximately 135 specimens from MH1, MH2 and what may be a third individual, all of which were uncovered between 2008 and 2016. The researchers found that Au. sediba is a unique species, refuting earlier critics who questioned its validity as a species. They say that Au. sediba is distinct from both Australopithecus africanus, with which it shares close geographic proximity, and from early members of the genus Homo (e.g., Homo habilis) in both East and South Africa; yet, it also shares features with both groups, suggesting a close evolutionary relationship. “Our findings challenge a traditional, linear view of evolution. It was once thought that a fossil species a million years younger than Lucy would surely look more human-like. For some anatomies of Australopithecus sediba, like the knee, that is true. But, for others, like the foot, it is not. Instead, what we’re witnessing here are parallel lineages, illustrating how different hominin experiments were unfolding early in our complex evolutionary history,” explained DeSilva. These new research papers address critiques of Au. sediba from other colleagues while correcting some initial observations and testing new ideas regarding this extraordinary collection. For example, other researchers hypothesized that this was more than one species due to the differences in the size and shape of the vertebrae. “The differences in these vertebrae can simply be attributed to their developmental age differences: the juvenile individual’s vertebrae have not yet completed growth, whereas the adult’s vertebra growth is complete,” explained co-editor and Leakey Foundation grantee Scott A. Williams, an associate professor of anthropology in the Center for the Study of Human Origins at New York University, and co-author of two of the papers, including the one on the vertebral column. The special issue also finds that Au. sediba was well adapted to terrestrial bipedalism or walking on just two feet but also spent significant time climbing in trees, perhaps for foraging and protection from predators. This larger picture sheds light on the lifeways of Au. sediba and also (whether directly or indirectly) on a major transition in hominin evolution, that of the largely ape-like species included broadly in the genus Australopithecus to the earliest members of our own genus, Homo. Consistent with the open research approach for Au. sediba by Lee Berger and the Evolutionary Studies Institute at the University of the Witwatersrand, co-editors DeSilva and Williams, who are also affiliated with the University, invite colleagues to study the Au. sediba material and test the hypotheses presented in these papers. 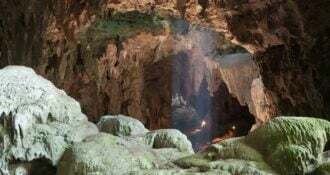 A new member of the human family has been found in a cave in the Philippines, researchers report today in the journal Nature. The new species, called Homo luzonensis is named after Luzon Island, where the more than 50,000-year-old fossils were found during excavations at Callao Cave. The teeth of a new fossil monkey, unearthed in the badlands of northwest Kenya, help fill a 6-million-year void in Old World monkey evolution, according to a study by U.S. and Kenyan scientists published in the Proceedings of the National Academy of Sciences, and funded in part by The Leakey Foundation. 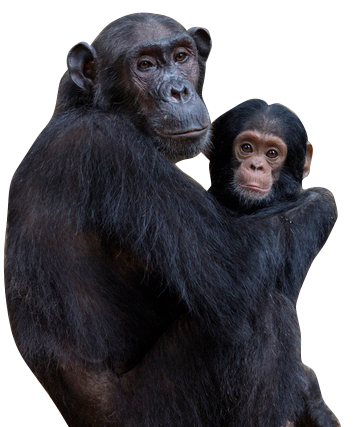 Chimpanzees have a more elaborate and diversified material culture than any other nonhuman primate. Researchers have discovered new behaviors in a wild population of chimpanzees in the Democratic Republic of Congo. 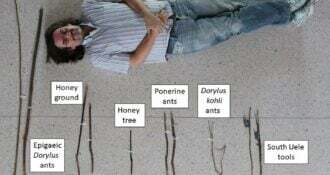 These behaviors include the use of tools to harvest ants and stingless bees.